A stunning minimalist horizontal oval column panel designer radiator in a modern cool white finish. 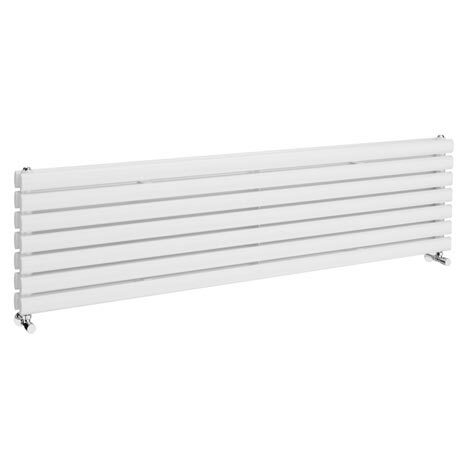 The Metro range of sleek radiators are manufactured using the finest materials and offers outstanding heat output whilst the sizes available make it suitable for any sized bathroom. Comes with matching white brackets for horizontal mounting. "I really like their look ,bit difficult to fix coz double and heavy but perfect for my master bedroom so I recommend this product.deliverd on time is another plus point for Victorian plumbers"